Money Laundering in Australia: Human Trafficking, Casinos and Luxury Goods. 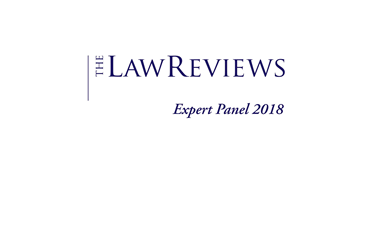 The Nyman Gibson Miralis money laundering lawyers have expertise in advising and representing corporations and individuals who are being investigated or prosecuted for money laundering offences in Australia. 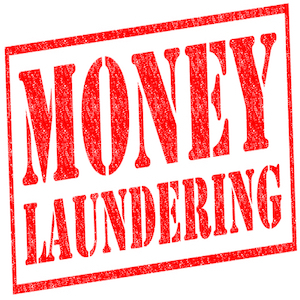 The extent of money laundering in Australia can be seen from some recent examples of the prosecution and detection of money laundering techniques by AUSTRAC. AUSTRAC provided financial information which assisted in investigations into a human trafficking operation from Thailand, and a people smuggling operation. AUSTRAC analysed financial transactions made in each case. In the case of the human trafficking operation from Thailand, women who were trafficked into Australia for the purpose of working in brothels were asked to pay back a ‘debt’ they had incurred in order for their passage to and employment in Australia to be organised. They paid money to the main suspect in Australia, who then sent the funds to a broker in Thailand. The transactions were structured in order to avoid detection by authorities, and to evade reporting requirements. In the case of the people smuggling operation, financial transactions between Suspect A in Indonesia and Suspect B in Australia, which were structured to evade reporting requirements, were revealed by an AUSTRAC investigation. Suspect A also provided multiple (and conflicting) identification details when making transfers from Indonesia to Australia. In both cases, the financial information obtained by AUSTRAC was used to assist in the investigation by law enforcement agencies. AUSTRAC assisted an investigation which disrupted a global crime syndicate involved in money laundering and the importation of more than 30 kilograms of methamphetamine (also known as speed, ice or crank) into Australia. The cells in Australia were headed by Suspect A and B. Most of suspect A’s financial activity involved large cash and regular incoming international funds transfer instructions (IFTIs) from companies in Canada, Iran, Slovenia, the UAE and Turkey. • Third parties making cash deposits into suspect A’s account. • The suspect’s trading account received regular large cash deposits, which were followed by cheque withdrawals issued to third parties. • Suspect B’s mortgage account exhibited unusual transaction behaviour, being used for very large cash deposits and withdrawals (worth hundreds of thousands of dollars). • The suspect made many large cash deposits; behaviour which was inconsistent with the suspect’s claimed occupation as a shop assistant. AUSTRAC provided a report to law enforcement agencies regarding the financial activities of a suspect. This suspect made structured cash deposits of amounts designed to evade reporting requirements over a four-day period. The deposits were then moved to the suspect’s account at a casino, where an additional amount was deposited in cash the same day. The casino submitted a report to AUSTRAC that noted the suspect’s aliases, and that he would become aggressive when asked for identification as part of the casino’s normal identification procedures for cashing out gaming chips. • Numerous assets were purchased by Suspects A and B, including a house and five motor vehicles. Enquiries showed that their income did not support their lifestyle. Further law enforcement investigations revealed that Suspects A and B were involved in the supply of drugs in Australia, with links to others overseas. • Drinks are often purchased in cash, in multiple small untraceable and easily forged transactions. • Takings may be variable providing an opportunity to explain unusual cash deposits. A central figure of a drug supply ring used a central Auckland bar to co‐mingle the proceeds of drug sales. Ron Brown’s declared source of income was an unemployment and later sickness benefit;. However, in 2007, Brown was able to purchase the K’ Rd Pool Bar & Lounge. While the business was run at a loss, Brown would use the business to place the proceeds of his drug offending without having to deposit cash from drug sales at financial institutions. He did this by paying business expenses with drug cash, and banking the bar takings as per a legitimate bar in the business account. This allowed Brown to effectively swap the drug cash for the clean bar money. A UK national incorporated Fairwind Pte Ltd in Singapore and opened bank accounts in Singapore in its name. Fairwind then received money from victims of investment scams. The victims, residing in various jurisdictions, received cold calls purporting to offer exclusive pre-initial-public offering shares of foreign companies with the promise of attractive returns. They then received invoices via email with instructions to remit funds to various overseas bank accounts, including the said account of Fairwind in Singapore. The funds, once received, were then sent back overseas soon after receipt into Fairwind’s business accounts. These transactions were not consistent with Fairwind’s registered business activity of building and repairing pleasure crafts, lighters and boats, and general wholesale trade. Nyman Gibson Miralis, are experts in assisting companies and individuals who are the subject of investigations by AUSTRAC, the Australian Federal Police (AFP), the (Australian Taxation Office (ATO) and the Australian Criminal Intelligence Commission (ACIC) for suspected money laundering activities.